There are a wide variety of binding ring sizes and shapes to choose from as well as terminology that may not be easy to understand. Where professional loose-leaf binding is required, CFS Binding Supplies can help. We sell high-quality binding supplies at the most competitive prices on the market. Our selection of book binding rings includes a wide variety of colors, shapes, and materials to choose from in bulk, so you can stock up now and get a great value in the long run. When large documents require frequent editing, traditional binding may not be the best solution. Mechanical binding, however, enables you to bind paper, swatches, scrapbooks, POP flip chart displays, crafts, gifts, home décor, and so much more with ease. Despite what its name suggests, mechanical binding is the least mechanized of all binding methods. Loose-leaf binding, for instance, allows sheets of paper to be easily inserted or removed. Metal loose-leaf binding rings are designed to bind heavily used documents and fasten any size stack. 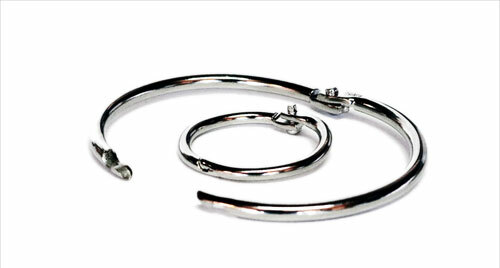 They open and close easily, coming together with mated curves that snap when closed to ensure a secure bind. 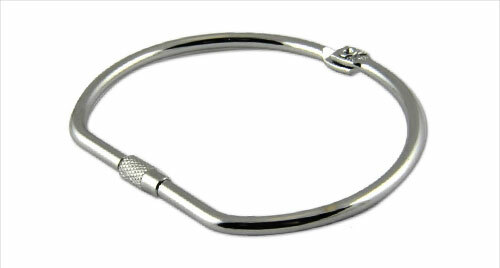 We offer a wide range of binding ring sizes: 3/4 in. – 3 in. We also supply screw-lock rings, which provide a more secure method of binding documents. We carry a wide variety of plastic binding rings, which provide a fast and affordable solution for binding small books, presentations, and photo albums. Our plastic snap-lock rings can be used to hang signs or make fabric swatch samples for your customers. They feature a snap-close design to ensure easy opening and closing for editing purposes. 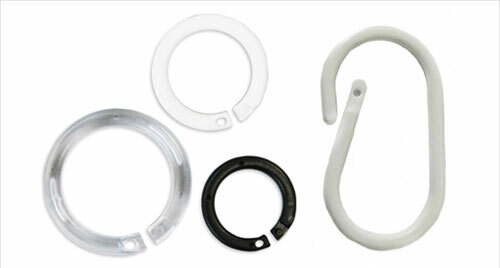 We supply both round and oval plastic snap rings to suit any need. If you produce heavy swatch books or bulky loose-leaf materials, our metal binding ring handles provide a more comfortable grip. Enjoy free shipping to select states when you spend $50or more on merchandise today. Please don't hesitate to call or email us with any questions. A helpful representative is standing by to help.